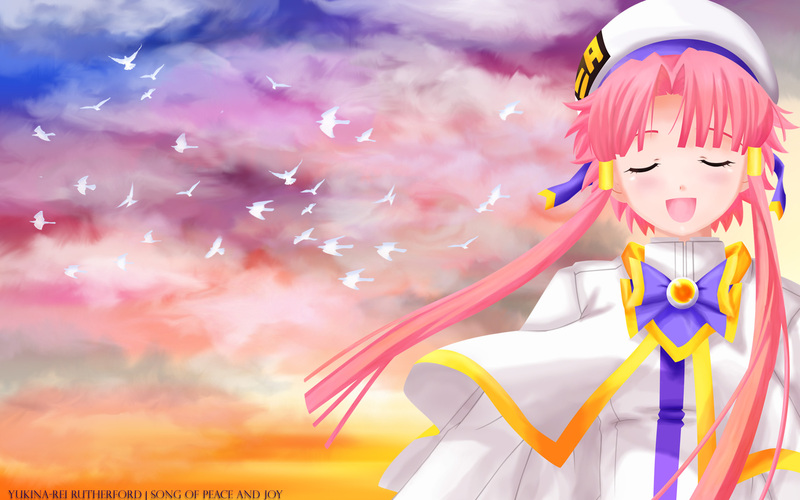 I've had this Aria scan in my computer for ages, and I've always wanted to make a wallpaper with it. When I saw the request, I got the motivation to finish the wall --> I'm always slow at making them. For the man who loves pink, especially pinky dresses with cute patterns on it. What a cute wall! I really enjoy the softness of the wall... the lack of outlines makes this wall eve more "peace"ful and loving... It's pretty and nice to look at. Great job~! .(n_n). beautiful and wonderful color. Great Job. aww it's such a nice and cute piece ! I rather like how you merged the character over yet filled it with birds and bright colors which merge well with the girl, good job.